The Magnum 60″ and 72″ are the largest listed fireplaces available in the Isokern Fireplace product line. With openings of sixty and seventy two inches, this modular fireplace system is ideal for large custom homes, hotel or multi-housing lobbies and restaurants. Similar to the smaller Magnum fireplaces, this fireplace offers a straight-wall, shallow depth design for a more traditional fireplace look. 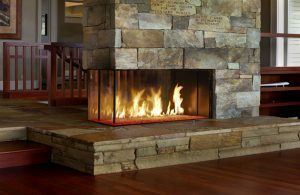 For outdoor fireplace applications,follow the links below under “Additional Information”.